With global warming at it’s highest, natural disasters are never far away. When these tragic events occur in your area, more often than not your home will suffer damage. This article will advise you on how to prepare for any upcoming disasters, as well as how to fix any damage to your home after these events take place. Hurricanes can be truly terrifying, leading to the perception that once it hits there is nothing that you can do to stop it. Whilst that is true, there are measures that you can take in order to make the damage less severe when it happens. 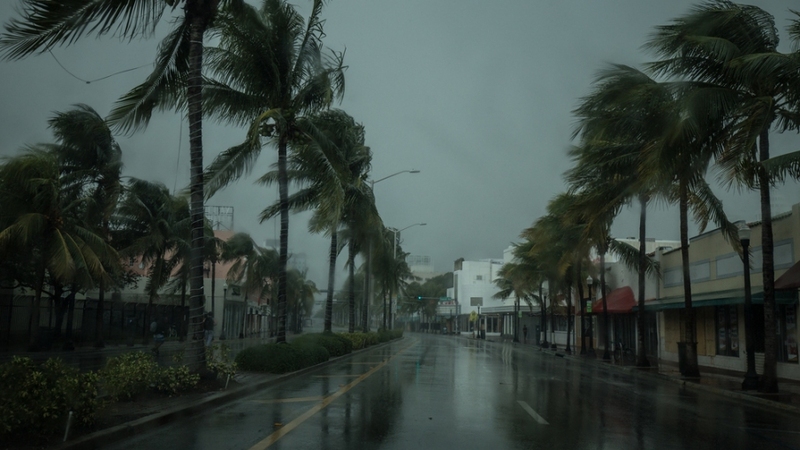 It’s important that in preparation for the hurricane, you secure any loose items in your home, as when the storm hits there is a possibility that they can be hurled across the home. This could not only break them, but things could become dangerous if any of them are to hit you. It is also vitally important to make sure that, if possible, you guard all of your windows and doors. If any of these are to break during the hurricane, it will be easier and more likely for high speed winds to enter your home, creating more damage and an even larger threat. Most often, with hurricanes come floods. Floods can potentially be more damaging to your home than the high winds, as the water damage can destroy foundations, infiltrate electrical sockets and destroy almost every household item. If there is a mass flood warning, it’ll be easy to purchase sand bags, make sure that you stock up on as many as you can. The sand will absorb the water and help to limit the volume that enters your home. Protecting valuable household appliances is to be considered as you can limit the damage the water can do. You can buy large plastic bags or coverings to cover any furniture that is too large to be moved to a safer place. Flood proofing your home isn’t easy, and it’s not guaranteed that no water will enter. In the event of your home becoming flooded, no matter the amount of water, contact Hurricane water restoration in Atlanta. An earthquake can be terrifying, as buildings can collapse in seconds, and can often lead to tsunamis. However, whilst protecting your home completely isn’t possible, there are actions you can take to lessen damage. If it is expected, ensure that you evaluate your home before the earthquake hits to make sure that any look roof tiles or bricks aren’t going to cause a break in your whole foundation. Repair any damage before the earthquake hits to prevent even greater damage from happening. Tie down or restrain any large equipment such as TVs or bookshelves, as these can cause great harm if they fall during the quake. Once the earthquake is over, you must check all of your appliances, windows and foundations for damage, but do not touch any exposed wire, ensure that you contact a professional to check any damage for you. Natural disasters are devastating for a number of reasons, but there are measures that you can take to minimize the personal devastation. With this guide, you should know how to prepare for any serious damage, and fix any damage that may occur.